We Raised the Bar on Greener Living last week with an awesome Bar Method workout and a lively discussion about living “greener”. Over 30 participants attended the session and chimed in with ideas for greener living such as biking to work, using reusable dishes for lunches instead of plastic bags, and gardening. It was great to hear the room buzzing with so many green living ideas! To top it all off, we donated our workout “weights” to Tampa Bay Harvest. At the end of the night we collected 55 pounds of canned food which Tampa Bay Harvest will donate to local area charities dedicated to feeding the hungry. 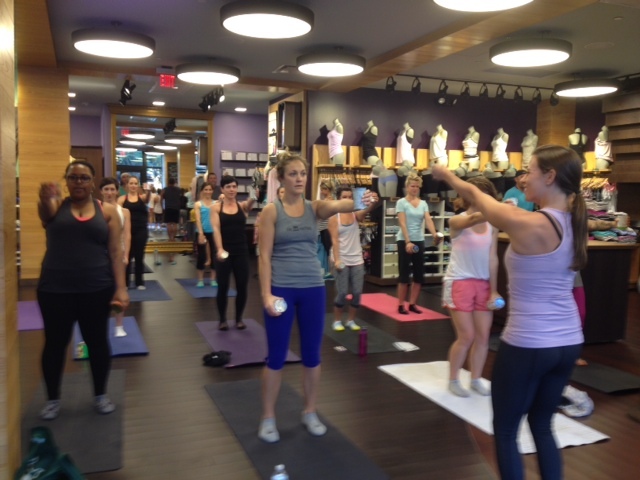 Thank you to all of our participants, The Bar Method Tampa, and Lululemon Athletica for such a wonderful evening. Please remember to bring 2 canned goods of equal weight, a wine glass to drink from, and an old yoga mat to recycle! The canned food will be donated to Tampa Bay Harvest. The event is FREE and open to the public!